Your skull houses and protects your powerful yet delicate brain, but in the event of a high-impact crash or a violent assault, the soft brain mass can suffer severe injury when it collides with the inside of the skull. The U.S. Centers for Disease Control and Prevention reports that 1.7 million traumatic brain injuries (TBI) occur each year in the U.S., and TBI is the leading cause (30.5%) of injury-related death and disability. The compassionate personal injury attorneys at Yeboah Law Group understand how a traumatic brain injury can devastate a person’s life. Some people who have suffered from TBI are unable to work, and live with debilitating symptoms ranging from blinding headaches and cognitive dysfunction to persistent vegetative state. Our Fort Lauderdale personal injury lawyers will demand justice on your behalf and fight for fair compensation for your injuries. TBI (traumatic brain injury), occurs during a collision, an act of violence, a fall or a penetrating head injury. When the body is traveling along and then comes to an abrupt halt as happens in a car crash, the body will keep moving until it meets an immovable object such as the air bag in the front dash of a car. The quick jerking of the head forward and then back causes the brain to collide with the inside front of the skull and then the inside back of the skull. This impact damages the cells and structures within the brain, which causes problems throughout the body as the brain governs every function in the body. Falls are the leading cause of TBI (40%) in the U.S. Being struck by or against an object or a person causes about 16% of TBI injury. Motor vehicle crashes cause about 14% of TBI injury, and they contribute to about 26% of TBI-related death in the U.S. Assaults cause about 10% of TBI for the public. Sports and recreation head injuries and other accidents make up for the remaining causes of TBI. 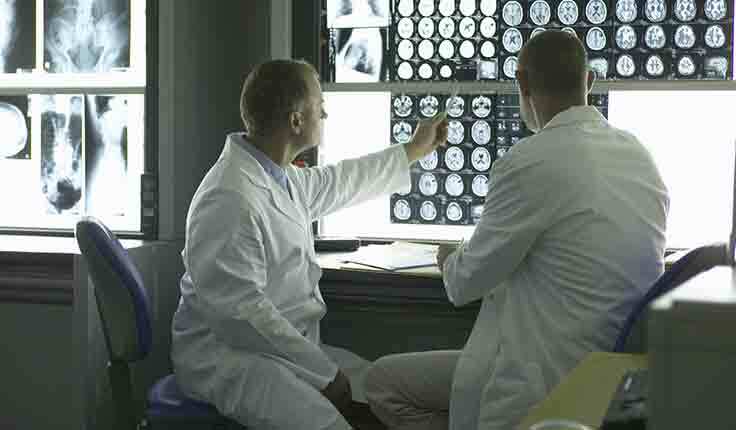 A healthcare professional can conduct a neurological examination and brain imaging tests to determine if a person has suffered a traumatic brain injury. A person who has been involved in a car crash, suffered a fall where they hit their head, or been struck by a heavy object should receive emergency treatment right away. The University of Miami South Florida Traumatic Brain Injury Model System is studying the impact of cognitive problems, emotional problems, relationships, sexuality, sleep and depression after a person has suffered a traumatic brain injury as they develop a comprehensive system for managing TBI.  It is critical that you contact a Fort Lauderdale traumatic brain injury attorney right away because the law places strict time limits (four years) on when you can take legal action for personal injury. An experienced Fort Lauderdale personal injury attorney from Yeboah Law Group will investigate your case, work with medical experts to examine your medical records, testify about your case and account for the long-term problems that TBI can cause in a person’s life. We will hold the responsible party accountable for your injuries and losses, and work to make sure that you and your loved ones are taken care of now and into the future. Sustaining a TBI in an accident caused by someone else’s negligence, can completely upend your life. You no longer live, work or interact with others in the same way which can cause a lot of pain. 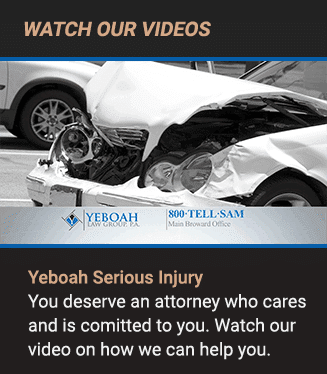 The aggressive personal injury lawyers at Yeboah Law Group are here for you and your family during this difficult time, and will work to protect your right to compensation for your injuries. You are encouraged to contact us for a free, in-depth consultation of your traumatic brain injury claim. Call now at 1-800-TELL-SAM or complete our contact form to schedule a no-cost consultation. We serve clients in Fort Lauderdale and throughout South Florida.